Primates evolved in a forest habitat of many complex colors and shapes where a failure to properly judge depth perception meant painful injury or death. Vision is therefore a paramount sense for monkeys, apes, tarsiers, lemurs, and lorises. Primates are social animals. After evolving highly acute sight and keen color vision, they then evolved to be the most colorful order of mammals. As with cuttlefish and birds of paradise, primate colors carry all sorts of social cues. Humans beings are primates. I suspect that it is not news to you that red is heavily involved in our own status and sexual selection preferences (for the sake of chivalric euphemism I will hereafter say “romantic” preferences). Although this is readily evident in the red dresses of supermodels, the flashy Ferraris of celebrities, and the power ties of senators, the subconscious sway it holds over our lives is more pervasive than you might realize. In studies where men rated the general attractiveness of photographs of women, the women wearing red were rated as more desirable, even when the experimenters stacked the deck with pictures of the same women in different colors. The same sort so f experiments revealed similar preferences among women looking at pictures of men. It might be speculated that this has something to do with blushing, blood flow and suchlike visible markers of fertility/interest (although when asked, men said that women in red were more attractive, and women said that men in red were more “dominant”). Wearing red uniforms has been linked with increased performance in competitions (particularly physical competitions such as sports). Controlled tests revealed that red conferred no physical advantage during non-competitive exercise, so the effect is purely one of perception among opponents, teammates, and referees. Referees and judges seemed to be a particular focus of the psychological effects we are discussing here, rating red-garbed performers much more highly/favorably than similar peers in other outfits. One needs to pause and think of how much more frequently the hateful Boston Red Sox and the despicable Atlanta Falcons would be justly drubbed if they wore dun uniforms. All of this might seem like bad news for people without a great deal of red in their wardrobe or in their clubhouse lockers, but there is a counterposing effect too. In studies which involved paying attention and focusing on achievement-type events like the SATs or IQ tests (or essay questions about the Byzantine empire), red proved to be a nuisance and a hindrance. Exposure to red decreased performance during such events (although my source does not say what this constitutes…maybe the experimenters had a huge red flashing light or a ringing red phone or some such gimmick that would unequivocally mess up one’s GREs). Of all the colors in my paintbox I am most dissatisfied with blue. There are a lot of strong greens and there are vivid cadmium yellows, oranges, and reds. There is ivory black which as dark as the depths of the void and dioxazine violet which is a great purple, but blue is a difficult color. The brightest blues of the sky are from sunlight which has been scattered by the atmosphere. The blues of bird feathers and butterfly wings are from careful refraction of light from reflective structures in the wings: if you ground peacock feathers fine enough there is no more blue…. The main blue pigments in the painter’s palette are cobalt blue (which is ancient and robust but a trifle subdued) ultramarine blue (a sulfur-containing sodium-silicate) which inclines toward purple, and cerulean blue a sky blue cobalt stannate which is painfully expensive. Oh! there is a manganese blue out there in the paint stores, but I never used it until I bought a little tube a month ago, so we’ll see how it turns out: it is sort of a tropical powder blue. They are each beautiful but they each have their problems and none is the pure royal blue in the center of the spectrum which is bright, non-toxic, and lightfast (although the poisonous cobalts and…ultramarine too… last through the long ages). This is why I was excited when my old painter friend Brendan (a raven painting specialist) sent me a link to an article about a new blue pigment. The new blue is called YInMn blue. Discovered a couple of years ago by Robin Young, the new blue is lightfast, stable, and seemingly nontoxic (although sometimes in the past problems have taken a while to become evident). The new blue is made of yttrium oxide, indium oxide, and manganese oxide. It seems to be extremely lasting, and best of all it is very very blue. Unfortunately, right now it is expensive (and the paint companies are still testing it out), but I have a feeling it might hit the market soon, and whatever its faults it can’t be worse for one’s health than carcinogenic cobalt. Kudos to Robin Young for the new color. I can’t wait to get a tube and paint some truly blue flounders…speaking of which, i better head back to the easel. Today we’re blatantly ripping off some work from one of the Economist’s throw-away graphs. Here is a somewhat peculiar little chart which shows the correlation between the color of new cars sold and the national mood of Great Britain. The teal line correlates with the number of voters who are most concerned about the economy while the sea blue line correlates with voters who are most worried about Britain’s relationship with the EU (and/or the “Brexit”). The real takeaway would seem to be that car color veers back to conservative black when people are anxious or worried about anything. I wonder though how the car-color graph would look against a long term graph. I saw another chart (lost to time and circumstance) which charted the top-selling car color in the United States by decade. In the seventies people bought brown/orange carr. In the 80s they bought blue cars. In the 90s the top color was green, and in the ‘aughts it was silver or white. Probably in the ghastly teens the top color here has been black too. I don’t know if this data is true, since I don’t have a methodology (or even a chart). But it stacks up well against my parents car buying habits: they had a maroon station wagon in the seventies, a navy Jetta in the 80s, a teal pontiac in the nineties, a bronze Subaru in the aughts, and a black volt for the teens (although let’s not talk about the trucks–which were pea-soup, goblin’s gold, almond, dark red, sage green, navy, and deep brown). Here in New York, I have noticed that when the market is roaring, men’s dress shirts are pretty colors like french blue, lavender, and salmon, but when the market tanks they become gray, white, and pale blue (this may have stopped being a useful index when men stopped wearing dress shirts–polo shirts tell us nothing). the larger point is that I suspect a meta-analysis of color would tell us all sorts of things about other indices and statistics…but i wonder whether the color choices come from consumers or if they come from marketers and advertisers who decide that everyone will want black or silver and create inventory accordingly. Shades of the Future of Colors? The whimsical names which paint companies give various designer shades and hues are a big part (well…at least a part) of the fun of painting. It has always made me happy to go into a Home Depot and peruse the rainbow arrays of eye-popping paint chips and look at the weird names. Imagine the thought process that lead to “Peppermint Penguin,” “Rutebaga Parade,” “Clontarf,” “Curlicue,” or “Bitter Gravy” (indeed my friend’s Arastu’s house is this last color, for some reason). But now, in an attempt to steal this joy from broke poets and stoned marketers, computer scientist (?) Janelle Shane has created a rudimentary algorithm to design colors and name them. Looking at the experiment as described on Ars Technica makes me think that either Ms. Shane is a poor computer scientist, there are aspects of the “experiment” which were not described, or this was a publicity stunt (or maybe all of the above). But who cares? Even if the computer made a lot of boring gray and beige colors and did not seem to learn anything, it produced some amazingly poetic and hilarious names like “Stargoon,” Dorkwood, “Gray Pubic,” and Burble Simp *which is actually an ok color—if you are a crustacean living in 1978. Maybe Ms. Shane was asking the wrong questions. Perhaps her experiment did not determine if machines can be aesthetes (the results are uncertain unless you are an empty souled entity designing a new ecru for cubicles). The real question is whether machines can be hilarious and the answer is a definite yes. It’s even better if they don’t get the joke, but just sit there in their “Snowbonk” colored housing wondering why everyone is laughing. A persimmon is a berry which grows on a persimmon tree, a group of species within the larger group Diospyros. The Diospyros trees are part of the majestic ebony family, and indeed persimmon trees are likewise noted for their hard, dense, elegant wood. The Diospyros are widespread trees, and native species of persimmon can be found in East Asia, Central Asia, South Asia, the Philippines, and North America. Persimmon berries (or fruit, as people call them) are an excellent source of dietary fiber, manganese, and beta-carotene (which people are always banging on about, but which I think is overrated). They do not otherwise contain significant nutrients…except perhaps sugars (once they have been sufficiently ripened or bletted). Unripe persimmons are astringent and somewhat indigestible. Indeed, green persimmons are noted for sometimes causing bezoars in humans who eat lots of green persimmons–the unripened flesh polymerizes into a woody ball which traps other food materials. These horrifying lumps can necessitate surgery (although apparently coca-cola dissolves them). Persimmon trees are rugged and grow fast. Not only do their blossoms emerge after their leaves, which protects the buds from frost, they can also survive in polluted or unfavorable situations. My grandfather had a garden and a fruit orchard next to the Chesapeake Bay. The East Coast is slowly (or maybe not-so-slowly) receding into the ocean and the persimmons lived shockingly close to the saltwater until Hurricane Fran knocked them down in 1996. Throwing a football around while running across the slippery rotting fruit is my foremost persimmon memories, although I have also drunk the Korean spicy punch called sujeonggwa (and I found it delightful). Maybe I should try making a persimmon pie! Additionally there is a beautiful autumnal orange color named after persimmon. It is a mid-tone orange with hints of red, almost the same hue as senior republicans, but slightly darker with woody brown notes. I like to write about seasonally appropriate colors, and I can hardly think of a hue more suited to early November (unless it is some sort of russet or woodland gray). Color transcends history. 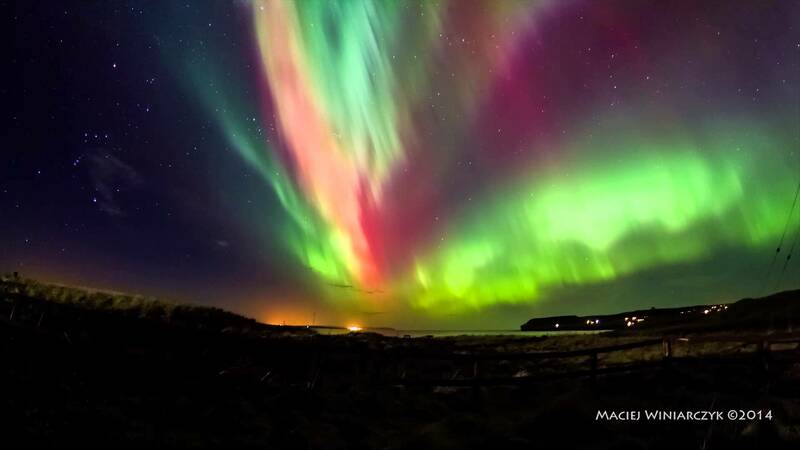 The wavelengths of light…the chemical compositions of the pigments…these things are part of the physical universe. Yet how we apprehend color is a part of our eyes, and our minds, and our upbringings (and involves some quirks unique to human physiology—as demonstrated by the colors magenta and stygian blue). Most of the colors I write about were first mentioned in the 18th or 19th century. Some colors are vastly older—like Han purple (which I like more all the time, by the way). However today I am writing about a color first mentioned in the distant year of…2009. This color found a name after the rise and fall of Britney Spears. The great recession had already set in by the time this color made the scene. I am talking, of course about “Arctic Lime” which was invented by Crayola’s for its “eXtreme” line of ultra-bright colored pencils. At first gasp, Arctic lime seems like a sad effort by a marketer who was not at the top of his game. Chartreuse and the Arctic do not initially go together in the popular imagination (nor do tropical limes belong in the frozen tundra). Yet the more one looks at this hue, the more it makes sense. It is not the color of ice, but it is the color of the aurora as it sweeps past inhuman vistas of alien frozen waste. Also, Arctic lime may not have a beautiful name, but it is a beautiful color (in its own unnatural and eXtreme way). Perhaps people of the far future will think of this color the way we think of Han Purple and they will imagine us going about our lives in Arctic Lime leisure clothes and neckties. 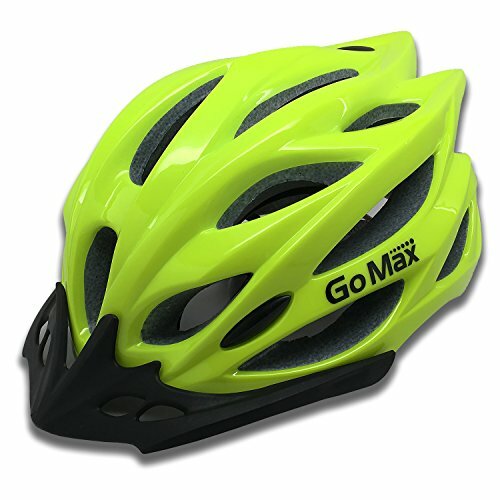 Come to think of it, the color is pretty similar to the high-visability fluorescent green of my bike helmet. Maybe the imaginary people of the future are imagining us more accurately than we imagine ourselves!